I have 4 boys from this hatch all have wonky combs developing but 1. Have your chicks had combs like this? I apologize again for the blurry pictures and hope you can still get the idea. But I am very excited about this boy, he has a lovely comb and wattles starting to develop as well as nice thick yellow legs and beak. I can't see too well in the photos Monika but they look to have some side sprigs. Side sprigs ran rampant in the EOs I hatched this spring (and the dorkings I hatched for that matter!). A side sprig would disqualify any bird at a show, but so would lots of things we are seeing (wrong colored shanks, white feathers, feather stubs on the shanks or between toes). In my opinion side sprigs are very minor in the grand scheme of what you are selecting for except that I am not sure how hard they will be to get rid of later on. Two birds with no side sprigs can produce chicks with side sprigs. This happened with mydorkings this year. My strategy this year was to look at the whole package and pick the birds will the least number of major defects. So type (shape and size) and vigor (health) should always be near the top of the list of what to select for. 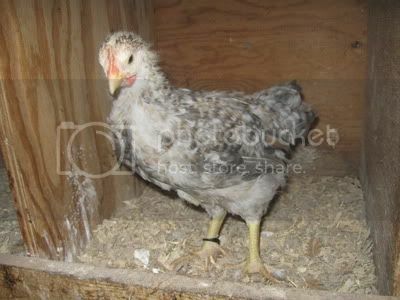 Then start looking for the "paint and trim" such as feather color, shank color, feathers on the legs, comb, etc. I tried to make sure the birds I picked did not all have the same faults as then the chicks would almost for sure have that problem. 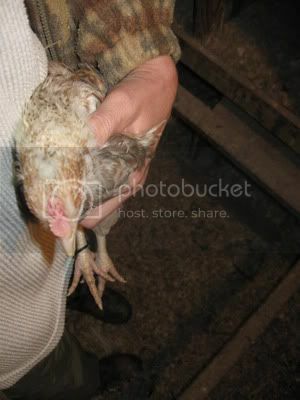 As an example, neither of my roos have side sprigs but several of the pullets I kept have one small one. I did not keep any with really wonky combs with several side sprigs or really large ones. I won't know how many chicks will end up with side sprigs as a result until spring. There is a post with pictures on here somewhere showing an example of a side sprig....I will find it. Those combs are hard to see. 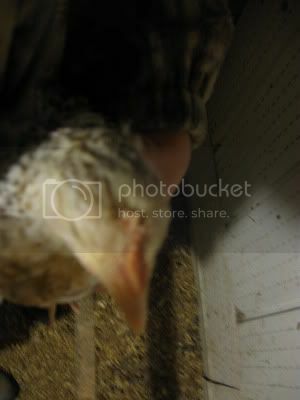 I tried taking some pictures of my clavel combed hen's comb and got the same kind of pictures. I have a new camera now and I can actually see the comb on the pictures. Do these cobs have an extra point on both sides at the back of the comb? If so that would be a clavel comb and should be selected against and in my opinion is worse then just a side spring on the comb, but like PG says it's just one small part of the selection process. Some day in maybe 5-10 years we will have some perfect EO's. But for now we have a wonderful breed of very productive, friendly birds that still have lots of variation in colours, leg colours and combs. I think it is a little more involved than side sprigs. It was so hard to take good pictures The combs start out fine but the closer you get to the back of the head the odder they look. Almost like it turns into a double comb or in one of the boys goes from a normal comb to a pea comb???? Odd for sure, I will try again today to see if I can get better pictures to post. I will have to look up clavel comb as I'm not really sure what that is. As always thanks for the input. Clavel comb is what Claire's Pennies have. Difference being the Pennies are supposed to have them. The link PG has shows a Penny hen with a Clavel comb. I would give those cockerels a couple more weeks to grow their combs to better Identify what you are seeing. Good Idea Gubi, Everyone will get to grow up to adulthood! 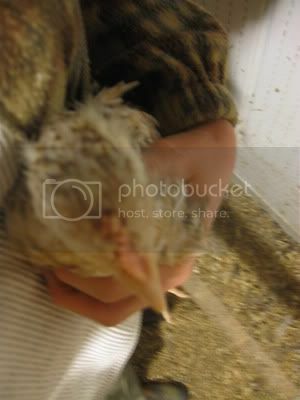 When the boys start crowing I will decide who to keep (with help from the EO family here ) and who goes to freezer camp. 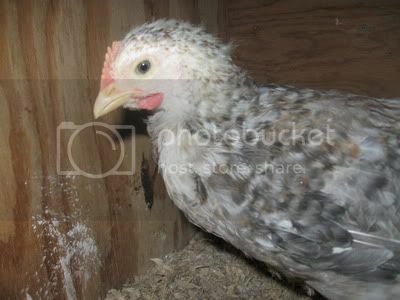 The ladies who are not breeders will go over to the layer coop. Hopefully I will have a better idea of what to look for for a breeding flock by then! I did look at the link and I do believe it is a clavel comb that these little fellows have. I am going to make myself some charts to help keep me focused on what things need to be at the top of the list vs the 'paint & trim'. So much to learn about this breed but I am enjoying the process!